I had the idea for a compare/contrast piece a while ago, and I am forced to admit that I watched the first of these three movies nearly a year ago. But I’m sure you’re tired of hearing about how busy my year’s been, so let’s just dive in, shall we? 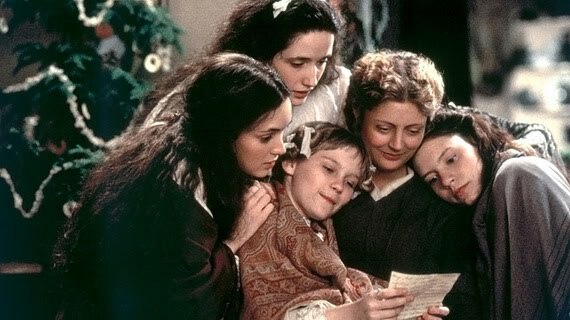 I decided it would be fun and interesting to watch all three film adaptations of Louisa May Alcott’s Little Women, and to discuss their differences and similarities. I’d seen the modern adaptation before, probably not too long after it came out, but the other two, being more “classic,” were not really on my radar until a few years ago. I greatly enjoyed watching these films, and I would recommend any of them, although I think that they are reasonably different, despite sharing source material. Little Women is the story of the four March sisters, who are growing up in New England during the Civil War. Formerly wealthy, their circumstances have changed and they must struggle not only to adapt to their new lives, but also to maintain their values and unique personalities in the face of adversity. Their mother, Marmee, and their father, writing to them from the front, teach and encourage them to remember those less fortunate than themselves. Meg, the eldest, struggles most against not having the same opportunities as her wealthier peers, and is concerned with being a proper young lady. Jo, the main character of the story, is tomboyish and independent. She dreams of being a writer. Beth is the sweet one; she’s frail, shy, and loving toward everyone. Lastly, there’s Amy, who is pretty, slightly spoiled, and artistic. The story follows these “little women,” as well as their friend Laurie, “the boy next door,” as they all grow up and discover themselves, each in her own unique way. Alcott’s novel has always been popular, with its simple realism, moral message, and engaging characters. It’s no surprise that it’s been adapted for film multiple times, and that each adaptation has chosen to highlight certain aspects of the characters and their story. The first film version was helmed by George Cukor, and starred Katharine Hepburn as Jo in an early leading role. She is joined by Frances Dee as Meg, Jean Parker as Beth, Joan Bennett as Amy, and Douglass Montgomery as Laurie. It won the Oscar for Best Writing, Adaptation, and received nominations for Best Director and Best Picture as well. The first thing to be said about this particular adaptation is that Katharine Hepburn is utterly perfect in the role of Jo. She was just made for it. Everyone else acquits themselves perfectly well (I seem to recall that Jean Parker’s Beth was particularly effective), but the story belongs to Jo, and there never has been and never will be (in my opinion) anyone who could play the part as well as Hepburn. Beyond that, I think this movie is the strongest adaptation. It’s black and white, which accentuates the simplicity of the story, and it highlights very faithfully most of the key scenes of the movie. It steers away, somewhat, from the more “sensational” plot points, but I think that must reflect on its place in history. That it chooses to focus more on the close-to-home struggles of the Marches, and their efforts to help the less-fortunate, probably resonated quite loudly in 1933, as opposed to scenes of fancy parties and travels to Europe. It’s a straightforward and emotive movie, very earnest and honest in its treatment of the source material. As such, I found it the most enjoyable, but in retrospect, I suppose it could be seen as a little boring. It’s absolutely worth a watch for Katharine Hepburn, though, so if you’re a fan, this movie is a must. I call this one the “pretty people version”. It was directed by Mervyn LeRoy, and starred June Allyson (Jo), Janet Leigh (Meg), Margaret O’Brien (Beth), Elizabeth Taylor (Amy), and Peter Lawford (Laurie). The movie plays like a shinier version of the original, in that it’s in color and everything is just a little more attractive and, well, “more,” but it mainly follows the same arc as the 1933 version. June Allyson is very boisterous, but fails to match up to Jo’s more understated moments, while Janet Leigh’s Meg comes off as positively bitchy. 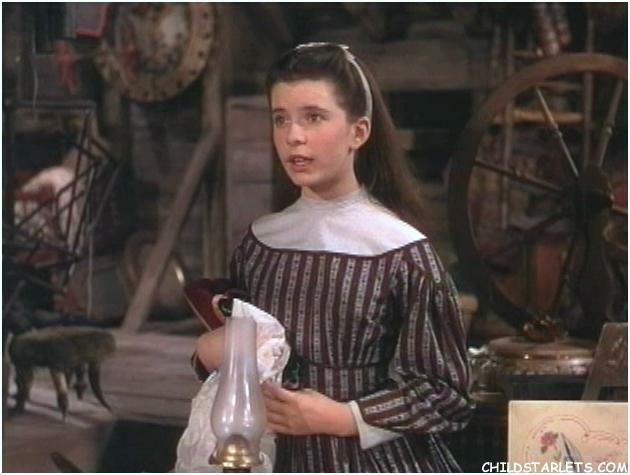 Margaret O’Brian was a popular child actress at the time, and is the obvious choice for Beth, but she’s a little much sometimes. The star here, unsurprisingly, is Taylor. She is perfect in the role of the simpering Amy. All in all, I think this version was intended to evoke the earlier, but really is “bigger” in a sense. Bigger names, Technicolor effects, and so forth. It’s great fun to watch Taylor, and Lawford’s certainly easy on the eyes, so I don’t wish to imply that it’s not a worthwhile film, but the 1933 version remains superior. This adaptation was one of the highest-grossing movies of the year, but I find it telling that while the former won an Oscar for screen-writing, this one won for art direction. That sums up the differences in many ways. The third and final adaptation makes some marked departures from its predecessors. Obviously, the first two are not so much in recent memory, and the world’s a pretty different place, so this version reflects that. Directed by Gillian Armstrong, it features Winona Ryder as Jo, with Trini Alvarado (Meg), Claire Danes (Beth), and Kirsten Dunst/Samantha Mathis as Amy. It is notable that this is the only time Amy is portrayed by two different actresses. Christian Bale stars as Laurie, and Susan Sarandon appears as Marmee, in a much bigger role than in the previous movies. The role of Marmee is actually the vehicle that powers the major differences between this adaptation and the first two. This version attempts to inject a fair amount of biographical information about Louisa May Alcott’s life into her story, and focuses less on her moral message than on the more subtle shadings of feminism that occur in the novel. It also features those more “dramatic” scenes that were omitted in the first two, and overall has a more melodramatic feel to it. While all of the actors are quite capable, I have to say that they are largely unimpressive and/or poorly cast. In particular, the petite and elfin Winona Ryder as boyish Jo, and Claire Danes as a sickly Beth who towers over her sisters and frankly, looks older than most of them, really detract from the film overall. Susan Sarandon makes an excellent Marmee, but doesn’t deserve the often-saccharine dialogue. Interestingly, Trini Alvarado shines as Meg – her character is developed the most and she plays it well. Despite winning some awards and receiving a Best Actress nomination, in my opinion Winona Ryder really isn’t strong enough to carry this movie, and her casting overshadows the entire ensemble for me. When I started this project, I admit that I assumed the earliest version would be the best, and the latest version wouldn’t stand up. While I do still believe that to be true, I think that I have found things to appreciate in each version. 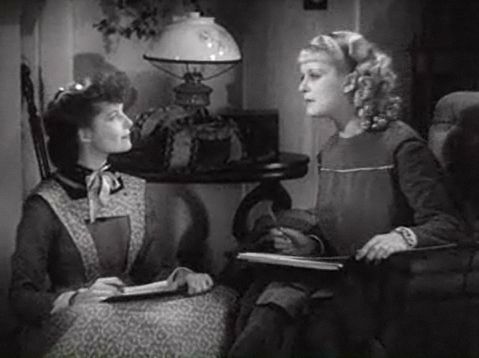 The main achievement of Little Women is in its characters, and while the movies are inconsistent within themselves, there are performances in each that really bring the March sisters to life. The 1933 version, operating under the maxim that “less is more,” succeeds the most in bringing the story to life, but one has to give some credit to the 1994 version for what it tries to do. There’s a lot more meat to it, and it’s obvious that a great deal of thought went into the details, but the dialogue and the performances don’t (for the most part) match up, making it wildly uneven. The 1949 version is the most “entertaining” in its way. Bright, attractive people giving good performances within a charming story … what’s not to like? All in all, I think these three movies stack down in chronological order, but it depends on what you like and want out of a literary adaptation. For faithfulness, watch the 1933, for entertainment, the 1949, and for heightened meaning, go with 1994. Watch Katharine Hepburn play Jo, Elizabeth Taylor play Amy, and Trini Alvarado play Meg. My final recommendation would really be to see all three, especially if you’re a fan of the novel, but I hope I have at least given you enough information for you to choose which one will best suit your interests. Unless you’re waiting for the blockbuster version in which Jo disguises herself as a boy, goes out to join the war effort, and blows lots of stuff up. They haven’t gotten around to that one yet, although I bet Michael Bay has at least thought of it.